Formed from a basis of high quality abaca, cellulose fibers, and man-made fibers. Ideal for tea bag products that require high-seal strength. Super tea dust retention feature can be used on high speed machines. Superior infusion properties with enhanced aroma, color, and flavor. 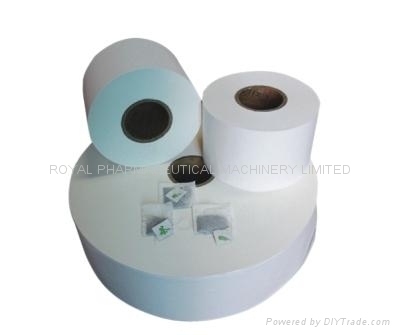 Roll Width: 94mm and 103mm, can be changed as per specific requests. Outer Diameter: Maximum 450mm, can be changed as per specific requests.